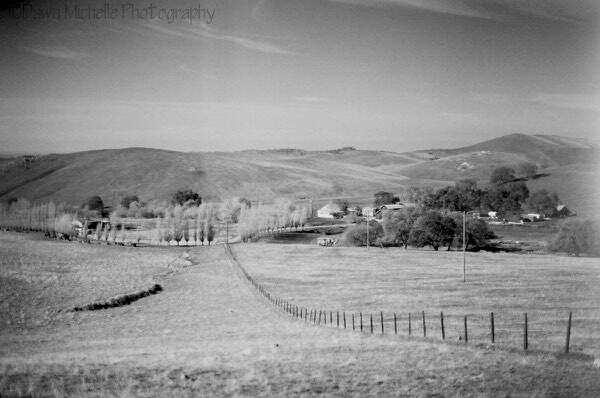 I shot this while driving around with my Dad near Mariposa, CA. He was very patient with me since I wanted to stop and take photos…everywhere! This particular shot, we had pulled over and I climbed into the bed of his truck so I could get just a wee bit higher. It was a beautiful cool day in December and you could hear all the cows talking to each other, which I must admit, makes me giggle. I’m mature, I know. But listening to animals “talk” is something I find comical and enjoyable. Taken with my Canon AE-1, Kodak Portra 800 film.